Psst! The talented artist in this piece is Etsy designer Nicole Licht. Isn’t she amazing? 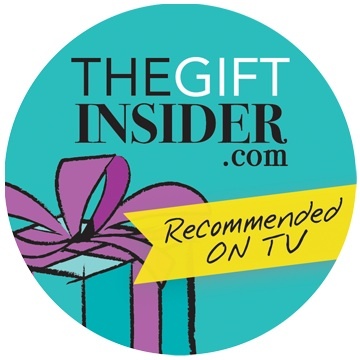 Linsday Roberts of The Gift Insider showcased her Top 10 Handmade Wedding Gift Ideas and included our Lovebird Champagne Toasting flutes! Check out the CBS segment . Dec11 Scrapbook, a set on Flickr. I decided that I want to start taking lots of pictures of the completed projects that I engrave through my etsy store. In the month of December I tried to get some shots of every order I engraved. I take all of the pics myself in my back screen room. The natural lighting is great for glassware....IF of course, the skies are not dark and gray. We have had a few ugly days so some shots are better than others and some didn't come out at all. But please browse through this scrapbook of work commissioned by my beloved etsy customers <3 I would love to hear any comments or feedback that you would like to share! Commissioned Work, a set on Flickr. I'm a proud mother to my 17 year old son, I love to create, I love business and I love good food! Born and raised in south Florida, I grew up a city girl. I now live in the mountains of NE Tennessee and it is a much different life here. I stay busy going to my son's games, running my glass business and staying active. 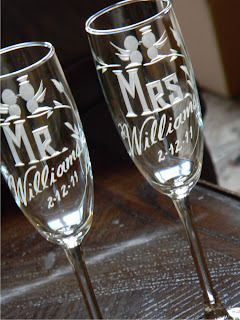 I started selling my personalized glassware online in my etsy shop last year and have had much success. I have received great ideas and feedback from customers, friends and family and have been encouraged to follow what I love. I love to use my grandfather's old lathe and wheel machine to create personalized gifts and I love business. Thanks for checking out my blog. Comments and suggestions are welcomed with smiles! Use this map as a guideline for the transit time once your order is shipped. Although I have had great experience with UPS and found that they are almost always right on it with the estimated time it is not guaranteed.